The purpose of the Career and Technical Education department is to provide students with authentic learning experiences that will help them gain the skills, technical knowledge, academic foundation and real-world experience they need to prepare for high-skill, high-demand, high-wage careers, post-secondary education, and life. To be career and college ready, students must to be able to combine and apply 21st century skills, technical knowledge and skills, and core academic knowledge. Winfree Academy’s Career and technical education courses focus on real world, real life skills and connect academics to technical training that will help you be successful in the future. Our goal is that every student enrolled in the Career and Technical Education Program will graduate from high school prepared for life in the 21st century and be globally competitive. 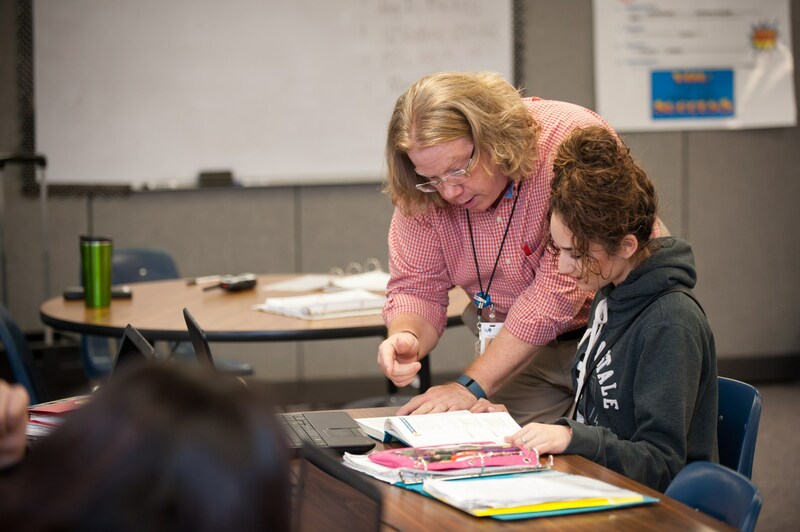 Winfree Academy Charter Schools offers career and technical education programs in Business Management and Administration, Human Services, Information Technology, and Hospitality and Tourism. Admission to these programs may be based on the grade level students are in. Winfree Academy is dedicated to training those students who plan to attend college after graduation with the necessary skills and abilities to complete college applications, FAFSA forms, and college entrance exams, as well as preparing them for the challenges of collegiate academics. Winfree has solidified partnerships with local colleges and universities to provide dual credit opportunities, campus visits, guest speakers, financial aid assistance, and other post-secondary preparedness needs. must meet the entrance requirements of the participating institution of higher learning, and must be in grade 11 or 12. Winfree Academy works in partnership with North Central Texas College, Dallas County Community Colleges, Tarrant County Community Colleges, TXVSN, and STATE U to provide Dual Credit opportunities. Students may speak with their Counselor for more information and assistance with enrolling in a Dual Credit course. The Texas Virtual School Network (TXVSN) has been established to provide students with a method of distance learning, as well as dual credit opportunities. Winfree Academy has an articulation agreement with STATE U’s dual credit program through The University of Texas at Arlington and Lamar University. Students may earn college credit by taking online courses through both of these 4-year Texas Public Universities. Students should see their campus Counselor for more information. Careers encompass planning, organizing, directing and evaluating business functions essential to efficient and productive business operations. Information technology entry level, technical and professional careers relate to the design, development, support and management of hardware, software, multimedia and systems integration services. Encompasses the management, marketing and operations of restaurants and other foodservices, lodging, attractions, recreation events, and travel related services. These courses allow students to evaluate their personal skills to determine individual potential for growth within any industry they decide to pursue. Some courses allow students to participate in work-based learning while receiving up to 3 elective credits. Career Cruising is an online Career Management System which allows students to complete interests, skills, and learning style quizzes to become more in tune with their post high school goals and aspirations. Students will continually use this system to research and assist with building a career portfolio.